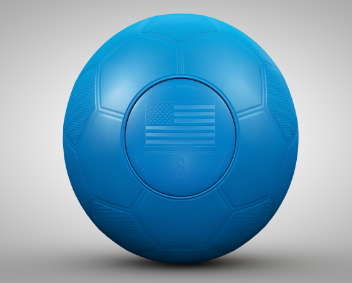 In many lesser-developed countries, children play with ordinary soccer balls that quickly deflate. Thanks to a variety of sports diplomacy initiatives by U.S. Embassies and Consulates, roughly 2.1 million youth have already been positively impacted through the use of 72,000 unpoppable One World Futbols. U.S. Embassy Burkina Faso adopted the idea of sustainable play and have utilized more 1,300 One World Futbols in their work in and around Ouagadougou. With support from Ambassador Young, the Embassy has already delivered play 40,000 youth. 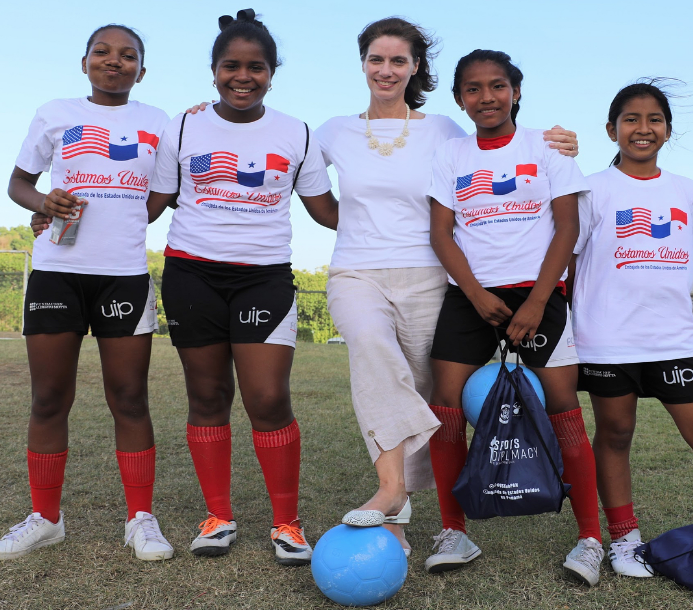 U.S. Embassy Panama celebrated Women's Empowerment through their “One World Cup: Empowering Young Girls” Sports Diplomacy program serving girls from El Chorrillo, an at-risk area of Panama. The Embassy used One World Futbols to engage the girls in a soccer event, which included soccer drills, team building, and women’s empowerment training. U.S. Embassy Rangoon, Burma delivered One World Futbols to organizations working with youth in disadvantaged communities alongside the Sports Envoy Program which included participation by U.S. Soccer heroes such as Cobie Jones and Lorrie Fair. U.S. Embassy Cotonou, Benin empowered individuals and others to purchase and donate balls to the Embassy’s health, education and gender equality programs impacting Benin’s poorest and most susceptible communities. U.S. Embassy Praia, Cabo Verde purchased One World Futbols which shipped as a box of 10 balls weekly via their diplomatic pouch—resulting in substantial cost savings and allowing the Embassy to impact children / community groups through programs using sports to promote social inclusion. Collaborating with one of our key logistics partners, Global Strategies, Global Solutions (GSGS), we work with Public Affairs Officers and their teams to use efficient and cost-effective distribution channels like diplomatic pouches and government cargo transports. Simply download the Embassy Bulk Order Checklist Form and together we can champion play for those who need it most. If you’d like to speak with our Embassy specialist, email Dana Young at dana@oneworldplayproject.com.